Another C64.. Will it ever end! ;D This one came to me as a dead black screen jobbie. PLA? Machine in quite good nick. With a bit of a clean, it would look new. Innards! Oh look, a reset button! 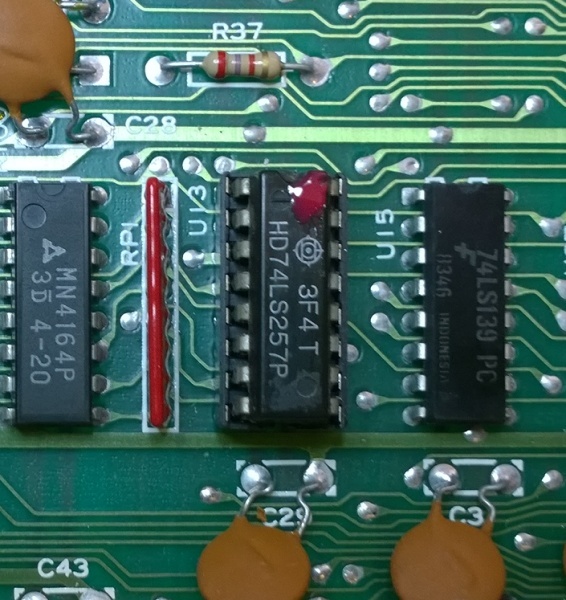 And a real nice old ceramic VIC-II chip. Well, ok so no picture. Left it on for a bit, and one of the memory banks wasn't getting as warm as the other... Checked the signal on the logic, and it pointed to this. It no worky. Life!.. But only with the test cart plugged in.. 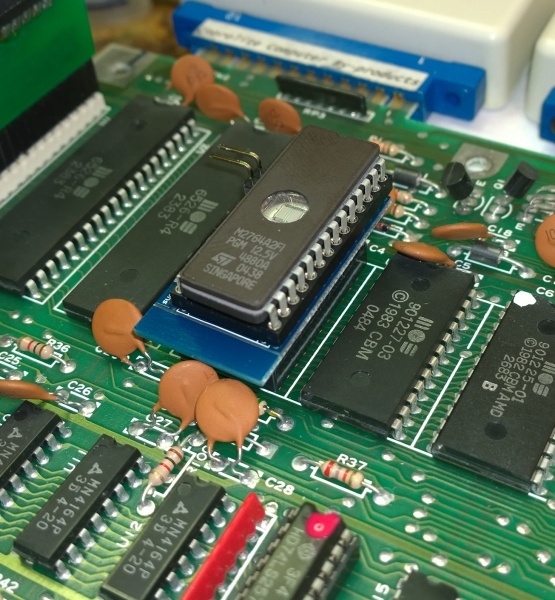 If ya C64 is dead, but fires up a cartridge, you need a new kernel. 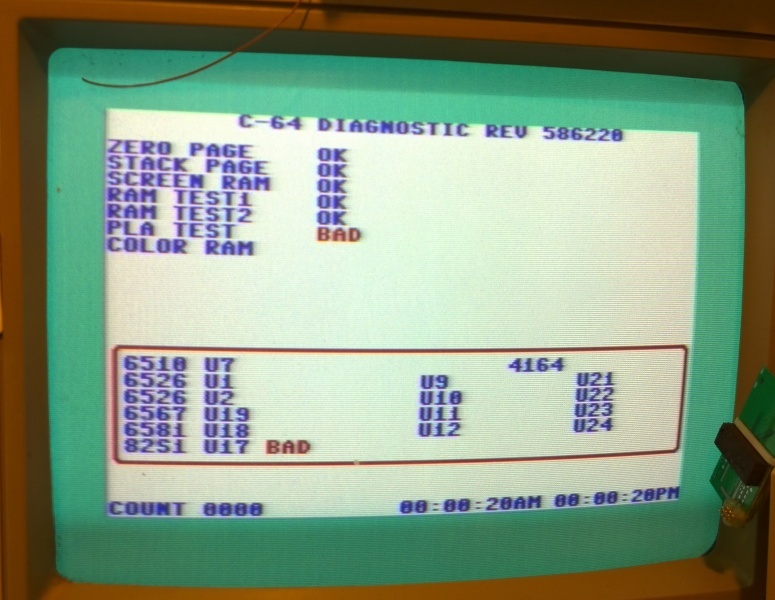 Nope, it's not a JiffyDos upgrade, just a copy of the original kernel on a 28 pin converter. Done. All tests passed. Happy days and it wasn't the PLA. 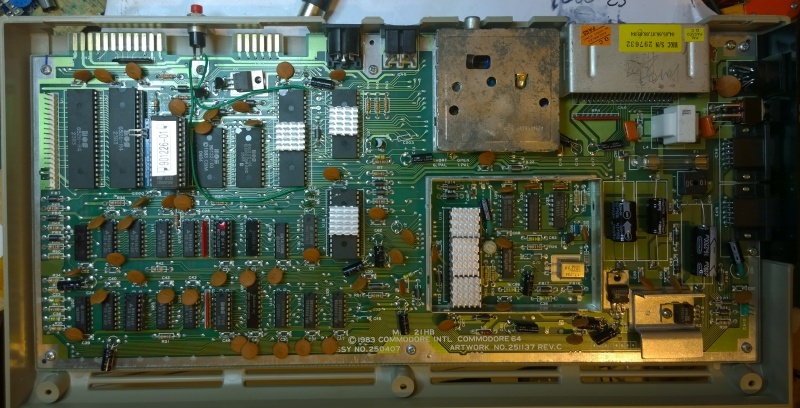 Heat sinks added, including 3 on the VIC-II as it's lost it's top hat. 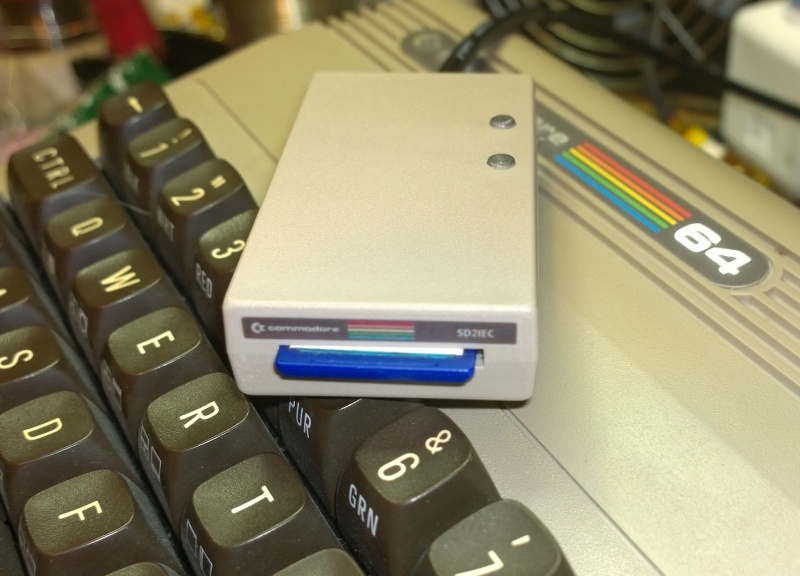 SD2IEC made from recycled C64 plastic. Against the C64 even though it needs a clean, you can see the colour match is spot on! New caps installed. Done and done.